The 65 VT & Neil Rock! Well I'll start this off since I've preordered already (my next freebee). Anyone else thinking of picking this badboy up? I'm loving the fact that it's just a gaming machine, nothing else to bog it down. I'm already saving up for a bigger 4K TV, my 50" isn't going to cut it. I got turned off once the douchebags at Bungie announced that they couldn't (aka wouldn't) get 60 FPS out of Destiny 2 on the Xbox One X. They'd rather have a million particles bouncing off of dead corpses than give me a decent framerate. Assholes. You've gotta admit it's pretty impressive for a cheap console though. Gears of War 4 at native 4K on high settings, albeit 30fps, is impressive for a $500 box. I would but it would gather dust. All my friends are on psn. The absolute ONLY reason I'd consider it is for a UHD disc player. That's it. 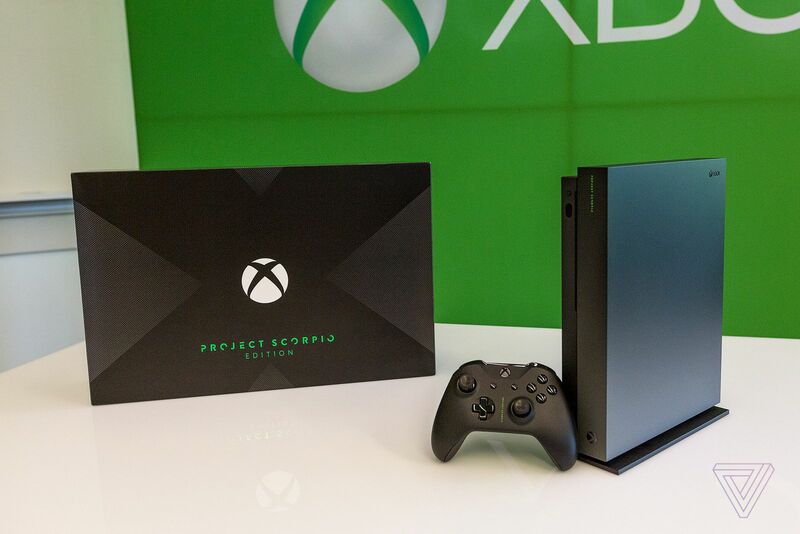 The Xbox One S has one also. What's 1 friend? You'll gain another by coming over. 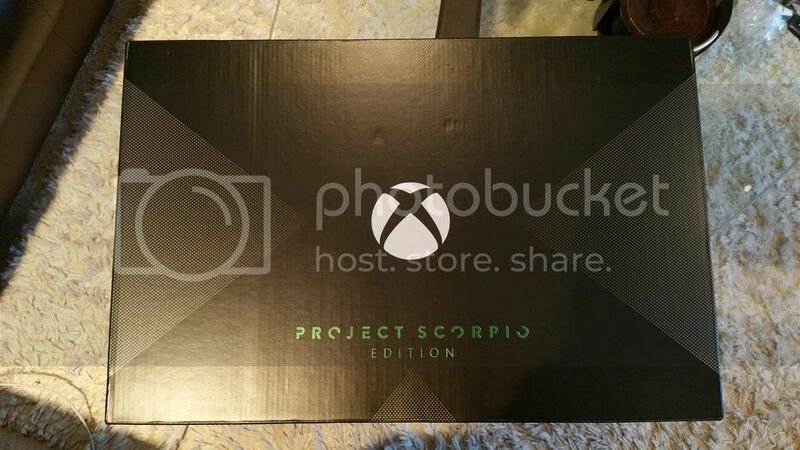 I dig how the packaging is reminiscent of the original Xbox one itself. Or Xbox. Or, 1st Xbox? Not sure the nomenclature anymore. Regardless, it's a slick looking machine. Yes very nice lines & clean. I had it hooked up to my 4k set and it looks great. It's back on my 65 for gaming. It is noticeably faster with loading, but I do have all my games loaded on an external HDD. I'll report some more on it later. 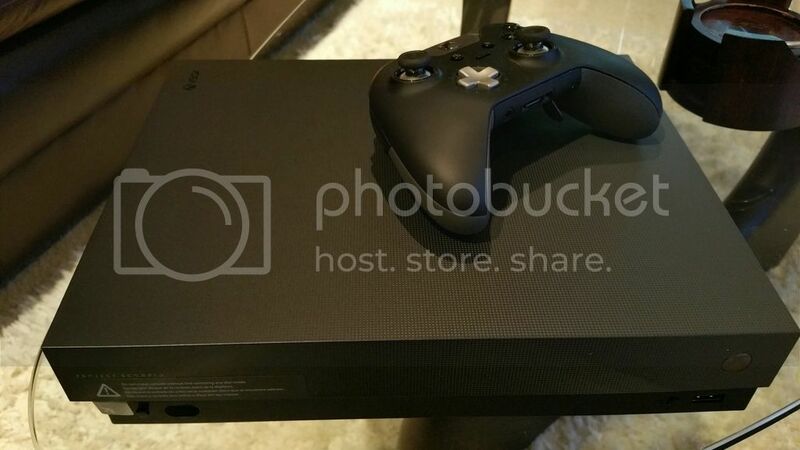 On account of the regular Xbox One (with Kinect) like mine selling for $200 on Fleabay, I decided to go ahead and get an Xbox One X. Probably a worthy upgrade over the long run, and for how much Fortnite I'm playing, having the uncapped framerate will be nice right off the bat. JR this thing is a beast. It loads really fast and I'm one of the first ones in the game. All the 4k enabled games look really good. If you don't have an Elite controller you should pick one up.